Barbara ‘Bobbi’ Mauller reports that she has frequently imagined a public means to honor her two grandsons in a way that would recognize their hard work and musical talents. In doing this, she felt she could also inspire and acknowledge future hard working music students. Her grandsons come from a long line of talent. Bobbi’s maternal grandfather played clarinet in the John Phillip Sousa Band in WWI. All six of his children played an instrument and sang. Bobbi’s mother taught all four of her children to sing four part harmony at a very young age, and they learned to play at least one instrument. Bobbi reports that she has been involved in choir, talent shows, church worship teams, and band all of her life. As Bobbi’s family before her, it has been passed to the next generation. Her grandsons Travis Bird and John Walther have shown intense interests in the performance arts. Travis started singing in the Decatur Church of God Choir when he was 10 years old. He began in the soprano section and with age, worked his way to the tenor section. In high school Travis performed in both the band and choir departments winning various awards and competitions. As several of Travis’ relatives were awarded the John Philip Sousa Award before him, Travis followed right along in this musical legacy. 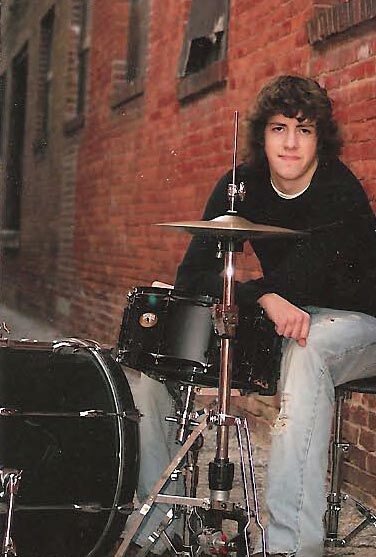 John has had a love for drums since he was young. His late grandfather Jack Walther played drums as well. While in high school John played drums for the Jazz Band and the Brave Generation Show Choir. He plays the drums for the band: Thank you and Goodnight. Travis and John have unique talents. Travis is primarily a singer and John is a drummer. It is because of these talented young men, their grandmother, Bobbi Mauller, wishes to recognize them and encourage the many potential performers to follow. Questions or comments may be directed to the ACCF. The first Bird-Walther Award was presented at the Bellmont Scholarship Awards event, May 18, 2011.